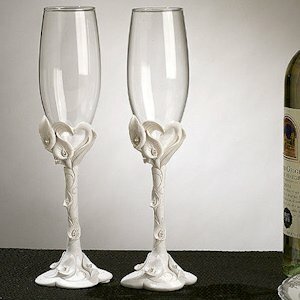 Toast to your love and to your future with these classic flutes! 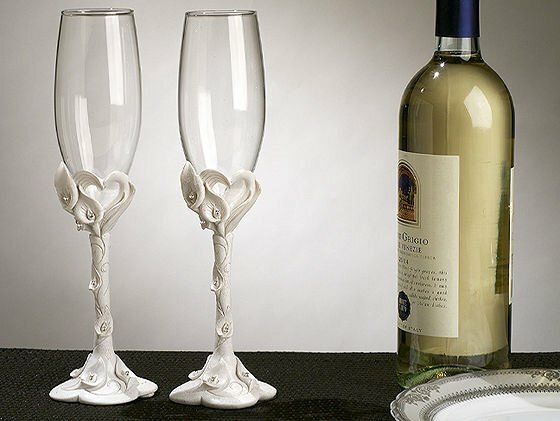 Sparkling rhinestones and a delightful calla lily vine design wrap around the slender, glittering base of our delicate toasting glasses. This traditional, but trendy set of 2 measures 10" tall and is perfectly matched with our cake server set, guest book and pen set. You may choose to purchase all pieces together in our Crystal Calla Lily Accessory Set.